Super Delicious Crock Pot Indian Curry - Kellbot! | Kellbot! While I’m no longer cooking 4 new recipes a week, I’m still cooking a whole bunch. 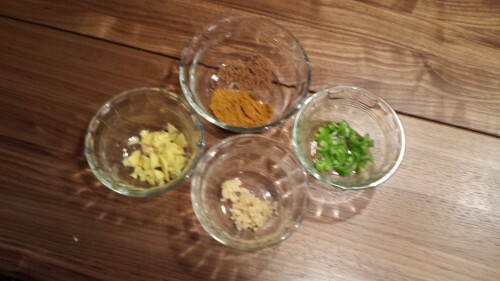 This Indian-style curry recipe is one of my favorites so far. Chopping all the ingredients is a little time consuming, but it’s a great slow cooker meal and very worth it. It also happens to be vegan! You can find the original recipe here. I’ve listed the quantities of stuff I use here, which vary slightly from the original. Then add the sugar, garlic, curry powder, and serrano pepper. 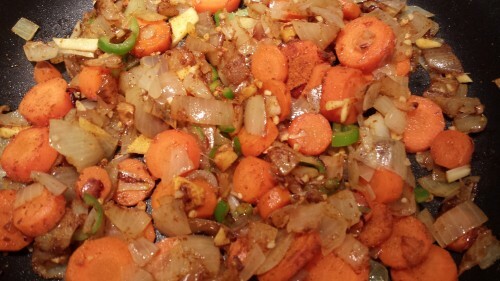 Mix everything well and cook until everything has a nice brown to it (another minute or two). Remove from heat. 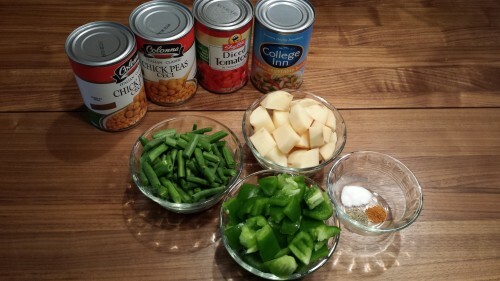 Put the green beans, potato, chickpeas, diced tomatoes, vegetable broth, salt, pepper (both kinds) and bell pepper into your crock pot. 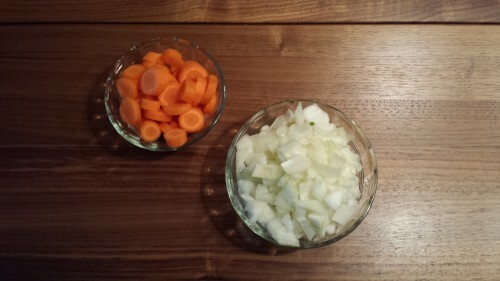 Add the carrot-and onion mixture and stir everything up really well. Cook everything on high for 5 hours. When you’re ready to serve, add the spinach and coconut milk and mix well. You can serve this with rice, but since the potatoes have plenty of starchy carbs I usually skip the rice entirely.